Do you want to see other Tinton Falls condos? When you begin looking for a Park Place II condo for sale you will notice that you have a wide choice of styles to choose from. You may find a three bedroom townhouse or a two bedroom townhouse with a loft. Also you may find a two bedroom lower level condo. Or even a two bedroom condo with a loft. A few homes in Park Place II Tinton Falls have a basement. However, none of the homes have a garage. Construction began in the early 1990s and it was built in five phases, Construction was completed on 520 homes around 2005. Pricing for the homes are in the price range of starter homes. Additionally, Park Place II Tinton Falls is approved for FHA Financing. Your pets are welcome in this community which also has a tennis court and a playground. It’s great for commuters because it’s near the Garden State Parkway and Rte 18. If you commute to New York and wish to take the train, the nearby station in Red Bank is only a few miles away. Indeed, it’s also close to shopping, Red Bank, Asbury Park and also, of course – the Jersey Shore. Shopping and dining are nearby. 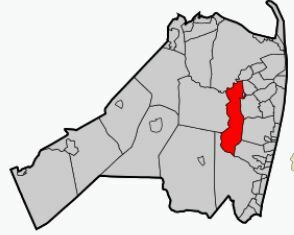 And there’s no shortage of golf courses in Monmouth County. Students who live in Park Place II Tinton Falls will attend the Tinton Falls School District, which educates students in kindergarten through eighth grades. The students in high school will attend Monmouth Regional High School. Numerous private schools are in the area. Students in high school may also attend the county vocational school district. 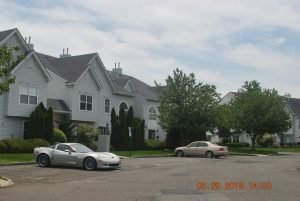 Call 732-598-7700 to see the Park Place II Condos For Sale.